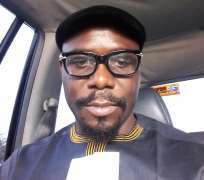 The dust raised by the Ijaw Youth Council (IYC), president, Barr Pereotubo Oweilaemie, on the Ijaw Nation producing the successor to the Incumbent governor of Delta state, has caused mixed reaction from other ethnic group, particularly the Urhobo Nation. In his reaction, the Coordinator, Urhobo Youth Forum for Change, Eshanekpe Israel, said the assertion of the Ijaw Nation was uncalled for, insisting that the rotation would start from the point it took off. Eshanekpe, who is fondly addressed as Akpodoro, hinted that it was the turn of Urhobos from Ughelli to ascend to government house, Asaba come 2023. "The chances of the people of the Delta Central Senatorial district producing the next governor in 2023 is not negotiable noting that the political arrangement in the state stands on a tripod and anybody cannot change it", Eshanekpe, roared. He continued: "Every well meaning Deltan knows that the position of the governor in 2023 has finally gone round the three senatorial districts and it follows that the rotational arrangement returns to the starting point which is Urhobo nation and from Ughelli axis of the district". While noting that the gentleman agreement was reached at the dawn of democracy in the country to foster peace and brotherhood among the three districts, he said: "It smarks off crass ignorance for one group to develop the mind of thwarting that arrangement noting that democracy is a game of number and when Urhobo nation gets to the bridge, it shall cross it. "When the time comes every interested tribe will struggle for it" adding that it is better to foster the bond of unity than fanning the embers of division amongst the ethnic nationalities describing the statement from the IYC scribe as truculent and bellicose. According to him, "Ijaw nation should wait after 8 years of Urhobo in Government House, Asaba, starting from June 12, 2023 to slug it out with the Isoko Nation from same Delta south. No one has the monopoly of flippancy. In as much as I know it is too early in the day to talk about 2023 over which tribe to take over from Dr. Okowa, I wish to state unequivocally that Urhobo Nation shall work with all stakeholders in Delta Project to ensure that our own mounts the throne of leadership of the state in 2023". Akpodoro, who doubles as the national President of the National Coalition of Niger Delta Ex-Agitators, NCNDE-A said of paramount concern to the Urhobo Nation was to support all the policies and programmes of Governor Ifeanyi Okowa and ensure he succeeds leaving a legacy of stronger and more economically viable state having played a pivotal role in the enthronement of his administration since 2015, "it is too early to talk about 2023 when the governor was yet to be sworn - in for his second term in office". He noted that the Urhobo speaking area of the oil-rich state are the largest homogeneous entity in the state with the highest number of registered voters in the three senatorial districts higher than Bayelsa State. He wondered where such arrogance as expressed by the Ijaw Youth leader came from. "Where he would get the votes, we shall see then." Akpodoro who championed and led Urhobo youth into massively giving their votes to Dr Okowa in the just concluded gubernatorial election in the state noted that in as much as it was not wrong for any group to aspire to any office as provided by the constitution of the Federal Republic, the Urhobo speaking people will work with all nationalities to achieve its 2023 aspiration noting that strategies are already in place for the realisation of Urhobo dream. Urhob land, the UYFC noted was not a conquered territory for any person or group of persons to shove aside in the politics of Niger Delta region let alone in the state as he called on well meaning urhobo people across the globe to rise up for the challenges ahead. "Even, in Urhobo land, we have sharing formula based on equity and brotherhood. Ethiope axis of Urhobo land has ruled and 2023 will unarguably be the turn of Ughelli axis of urhobo.